 Why are Your Orchid’s Leaves Limp? of those years, it has been very prolific with its blooms. Usually with two stems and a total of 50 to 60 flowers. 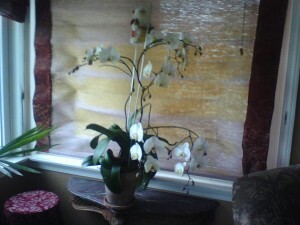 To the best of my knowledge and observation, it is a Phalaenopsis. 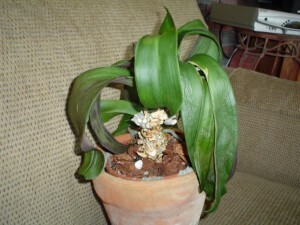 It had never been repotted during the five years and basically was watered once a week with a cup and half of water year round. Before the end of the last bloom cycle, the lower leaves began to wither. 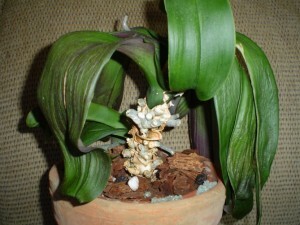 After the plant dropped its flowers in June, I repotted with bagged material specifically for Phals that was available in local store. The potting material I removed was very dense and mostly moss. Roots were not in great shape and I had to remove many.